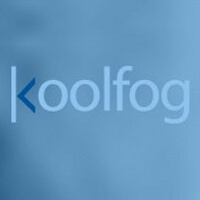 Koolfog, Inc. was founded in the Coachella Valley in 1987. Our focus is the design and development of high quality misting systems, commonly referred to as “misters” or “cool mist” solutions. We are family owned and continue to grow and operate in your backyard. Koolfog manufactures misting systems right here in the Coachella Valley and we are one of only a handful of companies that do this. We maintain our installation and service team year round. This means that you will get to know us. We are your friends & neighbors. Koolfog delivers misting systems to worldwide clients like Taylor Guitars and Universal Studios, meeting the highest performance standards. We bring those same standards to our local desert residents. 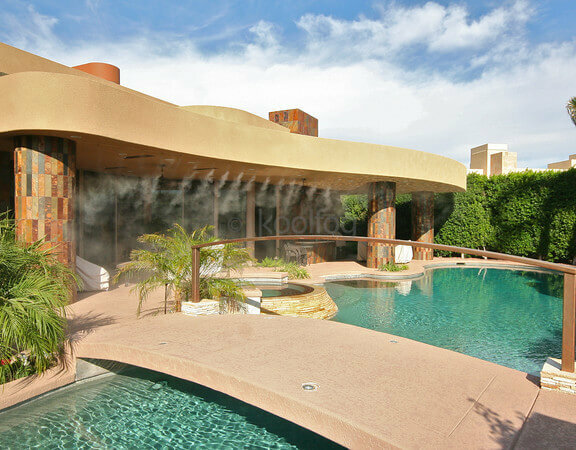 You can find our misting systems at homes, retail centers and restaurants in all the desert cities. When temperatures spike desert residents know what to expect. But did you know that misting systems can drop the temperature on your patio by up to 35 degrees? For desert homeowners, this means extending your outdoor living time. 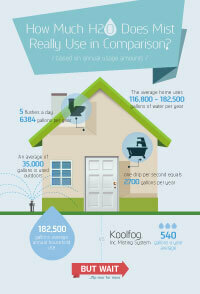 Click here to get a free estimate for backyard misting system. Choosing a Misting System can be difficult with all the options that are out there. Our climate is extreme. Therefore it is important to look for systems that will tolerate heat, wind and dust. Our Fog Girl video explains what exactly to look for in a misting system for your outdoor living space. 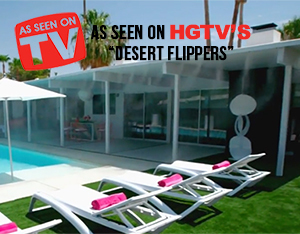 In a recent episode of HGTV’s Desert Flippers, “Go Bold or Go Home”, Koolfog plays a key role in the house’s transformation. The show follows couple Lindsey & Eric Bennett who buy and refurbish homes in the Palm Springs Desert area. Read more about the episode. We offer specials and free estimates for Coachella valley Homeowners. Click here to learn more.